Salary is the major reason and intention behind all the jobs. Generally, you will have an idea of salary before going for the interview. Your idea of salary will vary from the sources you depend on. But if you know how to calculate the salary then it will be easy to present your expectation at the interview rightly. Without knowing about salary details like deductions and perks other than salary, you can’t ask the interviewer confidently about the salary. An interviewer will ask for the expected salary at the time of interview. So you to need to calculate in advance to answer this question. You must know few terms which are related to the salary like Gross pay, Net pay, In hand salary and annual salary. To get out of this confusion and to get the clarity you need a perfect salary calculator. 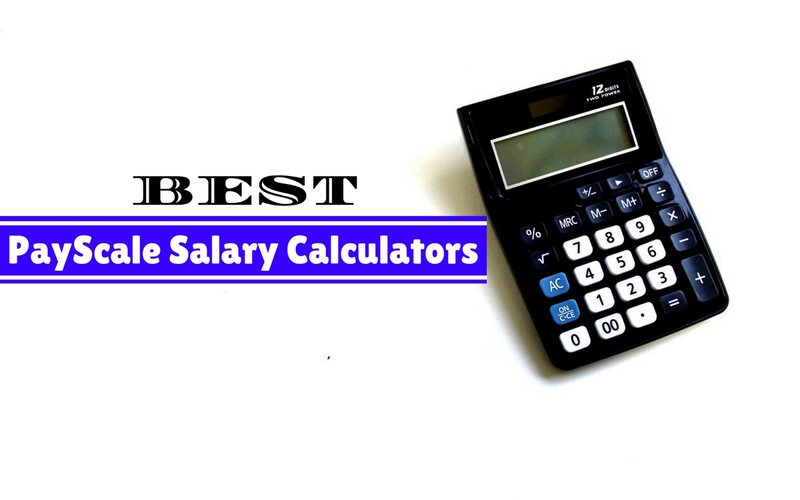 In order to help you, we have arranged few best calculators for you to calculate your salary. It will provide you the columns like state, job title, job grade and give you the average salary calculation. It’s a free calculator and any employee and employer can use it effectively. It will give you the exact calculation by asking the details like job title, state,city,country, qualification and experience. It will ask for your job title and place and gives the best result. The major advantage with this is you can even check the job reviews and feedback also. It is almost like a payscale and allows you to enter the same fields like job role, country and job grade. If you want more information regarding the salaries then you can choose three premium salary reports also. It offers the same features like salary.com because it’s powered by salary.com only. If you want more indetail then you may go for premium also in it. It will provide you the more relevant calculation. It provides you the same functionality to pay scale and its database is normal unlike payscale. But you can get good results. Along with the salary reports it has 2 more features like school reports and city reports.Here you can create your salary report by entering the details like job grade,title and location. Based on a common variation of a particular role and grade it will give the result. It’s a large database so it provides an analysis of average salary. It is provided by Indeed so it offers similar functionality like indeed. It is useful for job seekers, recruiters and Hr professionals. It is powered by salary.com so there is a similar functionality. It a free calculator. It will tell you how much you could earn. It will ask you the details like employer, job title, city and experience to calculate. It will ask you to fill multiple fields like Basic salary, Financial year, Yearly CTC and metro city details and gives you the perfect details about your salary. It is proving a free trial and Application. This calculator asks you enter the job title and based on that it gives an average salary for that position. It will ask you general information, federal information, State, local information and deductions. By that it will prepare a salary report. It gives weekly, monthly and yearly salary based on your profession, marital status.